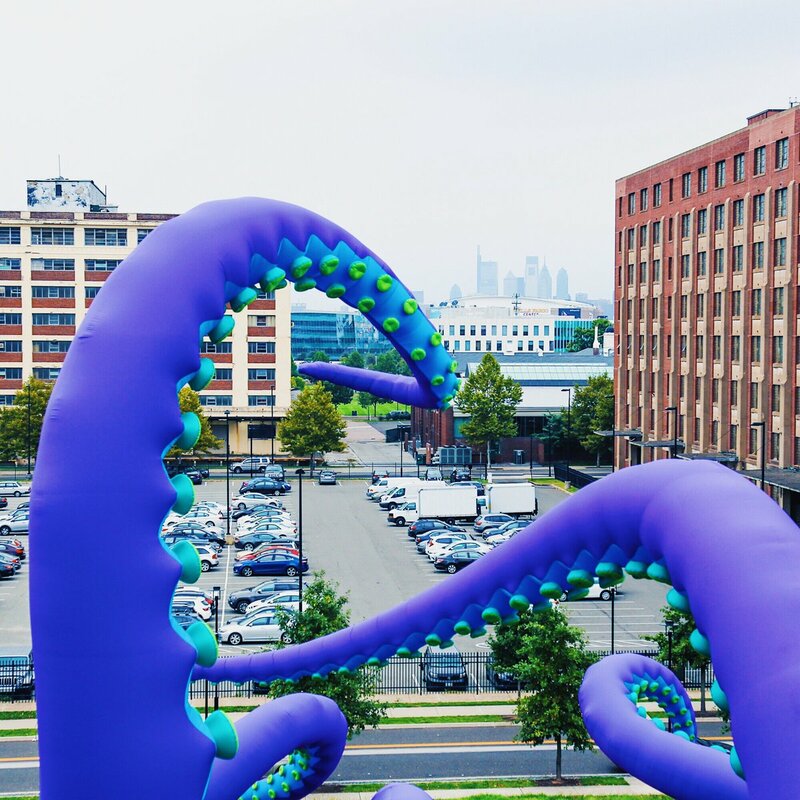 British street artists Luke Egan and Pete Hamilton—aka Filthy Luker and Pedro Estrellos—visited the historic Philadelphia Navy Yard this week and installed a gigantic inflatable sculpture in an abandoned warehouse on the Delaware River waterfront. 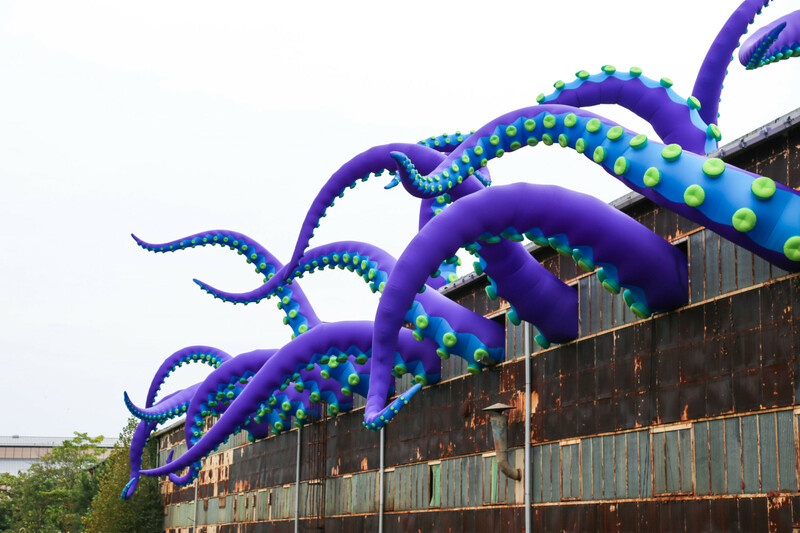 The twenty purple, blue , and green tentacles are part of a piece they call “Sea Monsters HERE” that will be on display until November 16,2018. 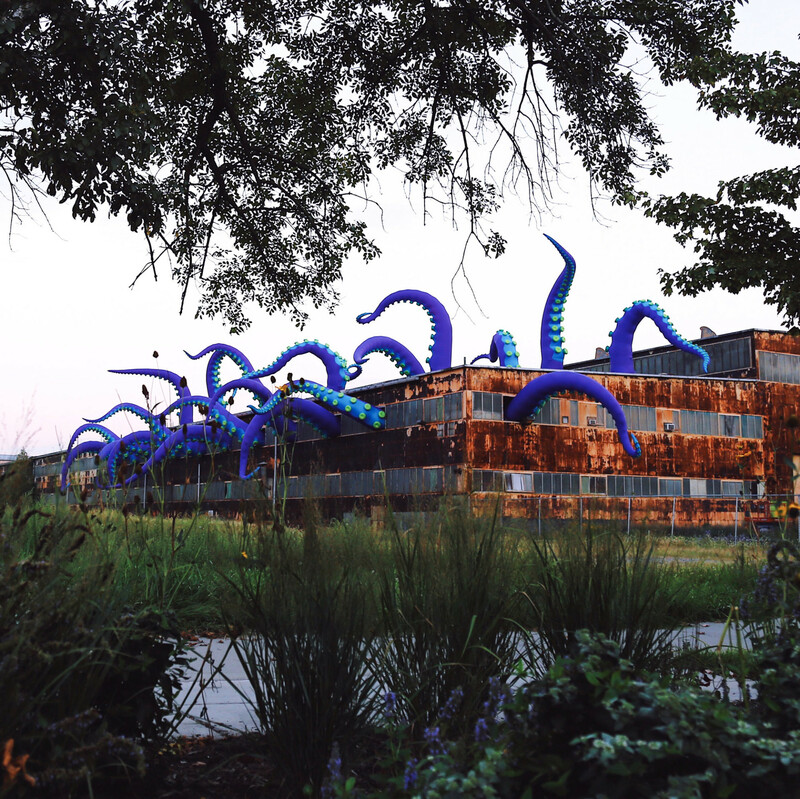 This entry was posted in Architecture, Art, Tourism, USA and tagged Delaware River, Navy Yard, Philadelphia, Street Art. Bookmark the permalink. 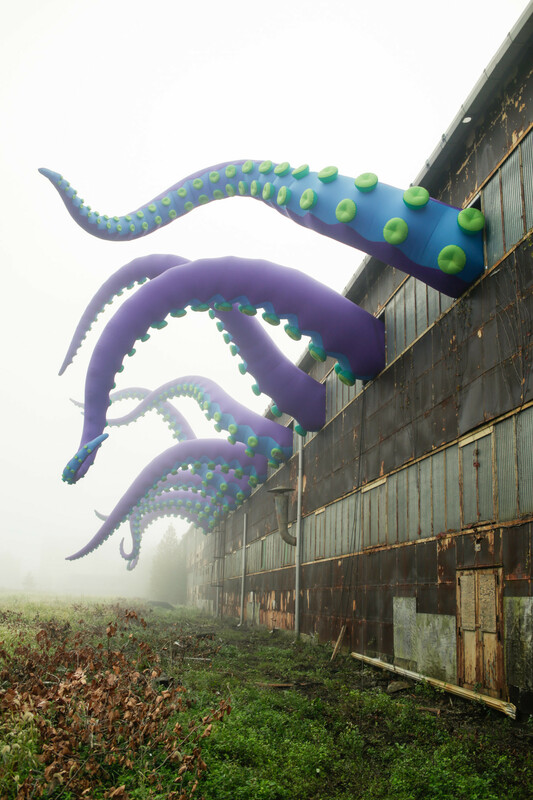 Philly has a growing street art culture that’s quite imaginative. Philadelphia looks an exciting place to visit at the moment. All good clean fun! Philly is a great place to visit, if you know where to go and where to avoid. 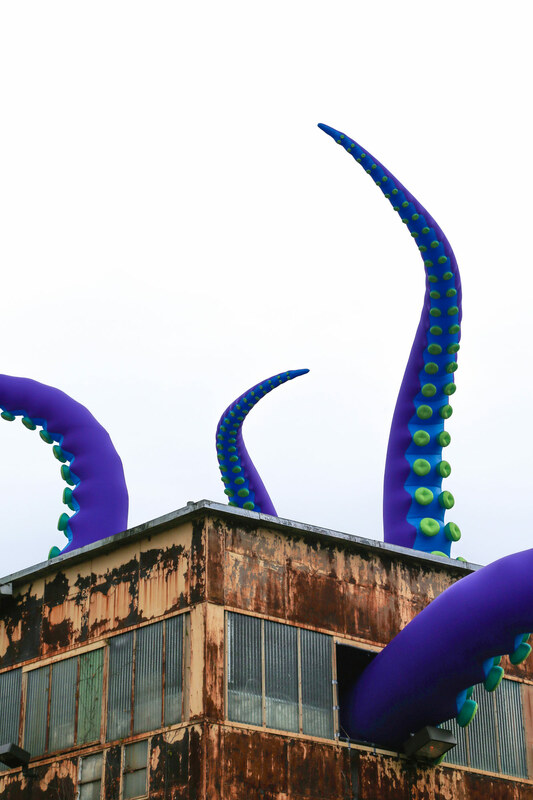 You’ll find great history, art, architecture, and a booming food scene, but also pockets of wretched poverty. 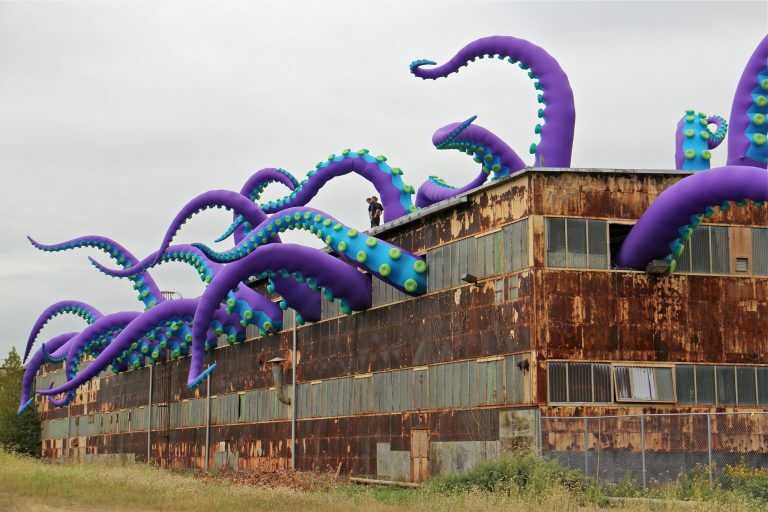 That’s a fun installation. I bet it makes people look twice! I only got a quick peek, but it is a laugh.